All Nokia BB5 Mobile phones brought in to our shop before 10.00am Monday and Thursday will be ready for collection same day. 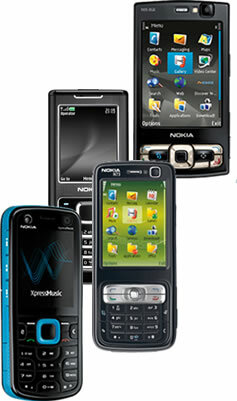 We offer the most comprehensive range of Nokia Mobile Phone Unlocking Services available today. Nokia 3250, 5300, 5500, 6125, 6126, 6131, 6151, 6233, 6234, 6270, 6280, 6300, 6630, 6630i, 6680, 6681, 6682, 7370, E50, E60, E61, E62, E65, E70, N70, N71, N72, N73, N73, N76, N80, N81, N90, N91, N92, N93, N95 N95 8GB, 6500 Classic, 6500 Slide, 6267, 6121 classic, 6120 classic etc. Add Value to your Nokia Mobile Phone if you wish to sell it. Once we receive your Nokia Mobile Phone for Unlocking, we will Unlock it and then contact you to let you know it is ready for collection or for posting back to you. We serve Chelmsford and the surrounding areas of Essex including Basildon, Rayleigh, Maldon, Braintree, Colchester, Tiptree , Danbury, Hatfield Perivale, Howe Green, Stock, East Hanningfield, Bicknacre, Broomfield, Whitham, Sandon, Brentwood, Widford,Rettendon.